Sasanian Persian Rugs is run by Sasan Mohammadi whose family has been involved in textiles and rugs for many generations. Sasan ('Sas' to his friends and customers) has lived in Southampton for the last 25 years. 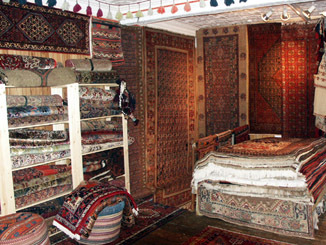 After completing his studies, he started trading in the long traditional art of Persian rugs in his second home town, Southampton, for the last five years from the showroom at Bitterne Triangle. Our extensive stock ranges from fine city rugs, through colourful, hard-wearing village rugs to fascinating tribal pieces, including kelims, soumaks, bags and trappings. All sizes and prices are available, from small decorative pieces to room-size carpets. 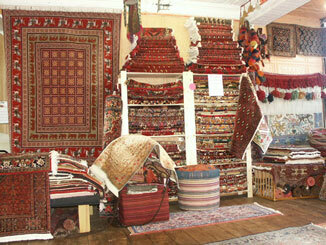 We have a very good selection of older rugs, including antiques, as well as a full range of new items. If you are buying from overseas, we can arrange shipment. We ask for payment in advance and guarantee immediate refund(minus Postage) on return of any rug with which you are not completely satisfied.